Happy Monday! 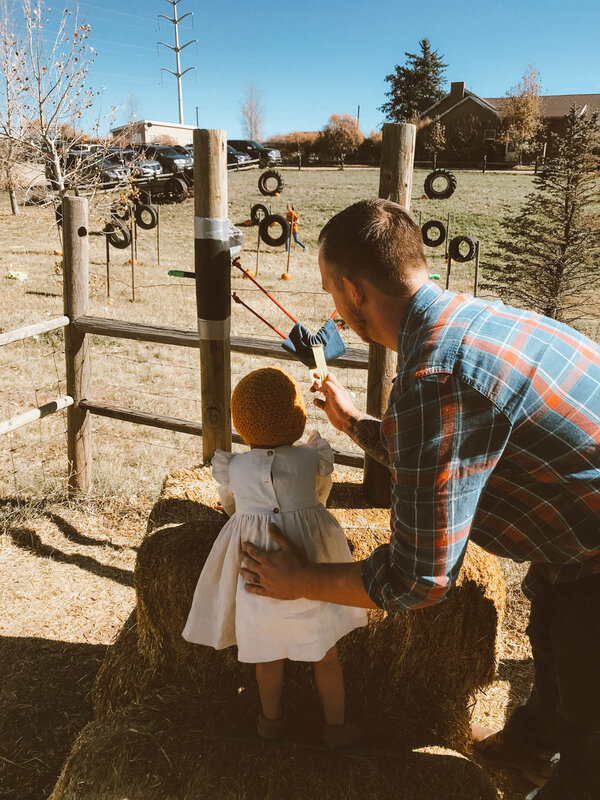 I came across an old blog post titled Dear Papa from when Olive was about a month old and it was dedicated to Austin and I thought it would be fun to pick this little series up because he is the real MVP in our lives and I often dont get to share these in-between photos. If you'd like to join in on this little series to celebrate the Men in your lives I'd love if you tagged me and used #dearpapaposts so we can start a little chain! Dear Papa, thanks for introducing me to me little sister and future BFF, Pearl. I think I'll keep her. Dear Papa, thanks for helping me feed the birds at the zoo, you know its my favorite thing and mama always says "next time when papas with us". Dear Papa, Thanks for letting me take your turn when you are playing with your friends. You always make sure to include me. Dear Papa, Thanks for watching me even though I wont take a bottle from you. I really love all the extra snuggles and songs you sing to me when mama's away. You sure know how to comfort me. I'll think about the bottle thing okay? Dear Papa, Thanks for taking me bowling. You know its my favorite thing in the world. Dear Papa, Thanks for giving me your calm and super relaxed attitude. Even though I look like mama, I know I get my personality from you. Dear Papa, Thank you for always making sure you play with both of us.